Looking for a way to tell visitors what your shop’s about? Look no further. 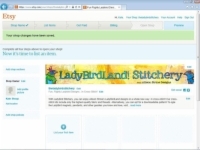 Etsy enables you to include a shop title and shop announcement on your shop’s main page. If customers are likely to search for you by your full name or your business name, consider including that in your shop title. The shop announcement, in contrast, is a great way to, well, announce things about your shop. For example, you may use it to trumpet the types of items you sell, the variety of materials or ingredients you use, or your artistic philosophy. Alternatively, your shop announcement may broadcast when your next sale will be or share a summary of your shop policies. If your shop focuses on high-end, pricier items, you can use your shop announcement to indicate why. Maybe you use only the finest materials, or perhaps you employ a particularly difficult technique to craft your pieces. Either way, you can share this information with prospective buyers in your shop announcement. 1If it’s not open already, open the Shop Name page. To do so, click the Your Shop link along the top of any Etsy page. 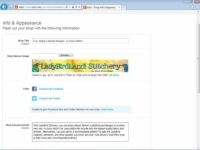 2Click the Add Shop Title link, under your banner and shop name. The Info & Appearance page opens. 3Type your shop title in the Shop Title field. Consider the name of your shop carefully. This is how potential consumers will first get to know you and what they will later use to find you. 4Type your shop announcement in the Shop Announcement text box. It is a good idea to have these prepared ahead of time. 5Click the Save Changes button. 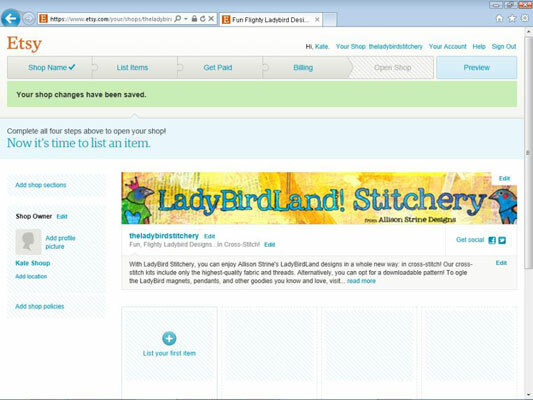 Etsy adds your shop title and shop announcement to your shop. Note: Your shop announcement can be as short or as long as you want. Just be aware that if it’s more Anna Karenina than haiku, not all of it will be visible by default. To read it in its entirety, click the Read More link that appears after the first few lines. The first 160 characters of your shop announcement, along with your shop title, are used as the meta description for your shop. 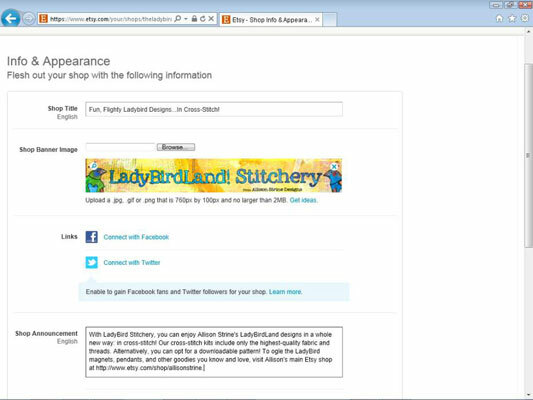 In English, that means if someone uses a search engine to search for keywords that appear in your shop title or announcement, as well as section names and your bio, your Etsy shop will appear in his search results. So, you want to make sure that you include the really important stuff — what you sell, what it’s made of, and so on — right up front.